When my other half received a graduation photo card (seems very hip this year) from his niece, I knew it wasn't going to be any ordinary graduation card I was to make. ﻿ I was ready.. since I had this image in my head for a while. I used the In Colors from 2010-2011 (which still are current), on white that was embossed, and then layered on black cardstock. 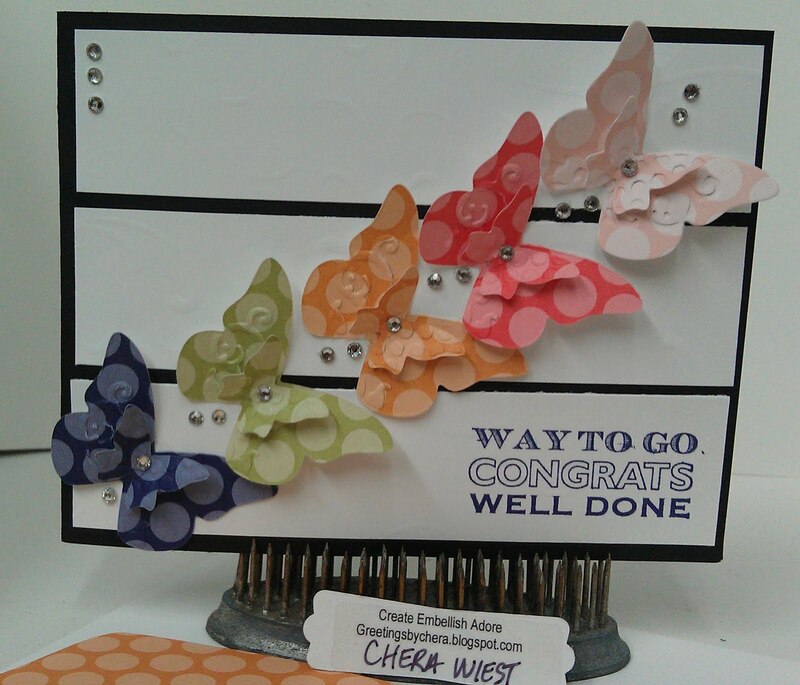 I used rhinestones to jazz up the card in between the butterflies and on the top corner! I love the bling!!! I used the Happy Greetings for the sentiment which seemed perfect in Concord Crush. Why did I pick the butterflies? I love the way they add "freedom to do what you wish to do" for a grad! I used the smaller butterflies to line the inside. ﻿The daughter gave it two thumbs up and the other half said "I wouldn't give her anything less"... which I thought to myself... I know .. I wouldn't have let you! I am extremely happy with the turn out! 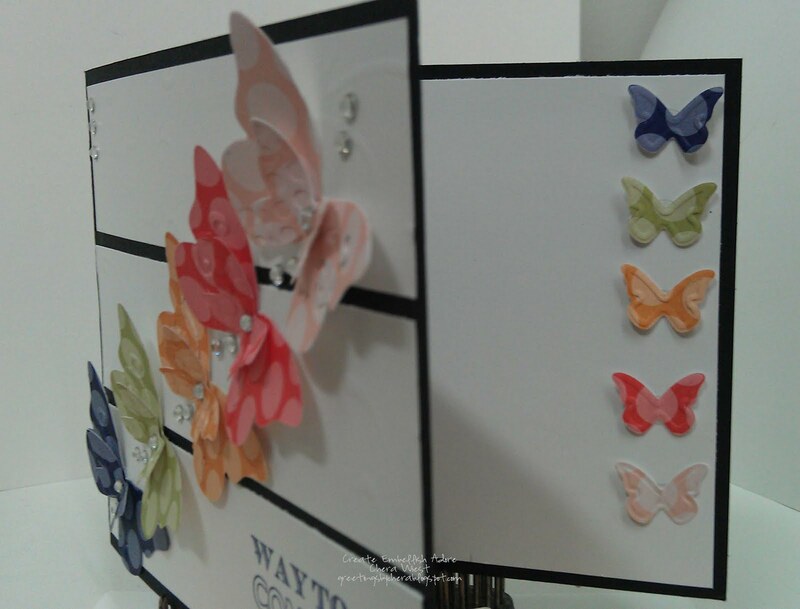 Love the varied colors of butterflies on the inside and out, very pretty!